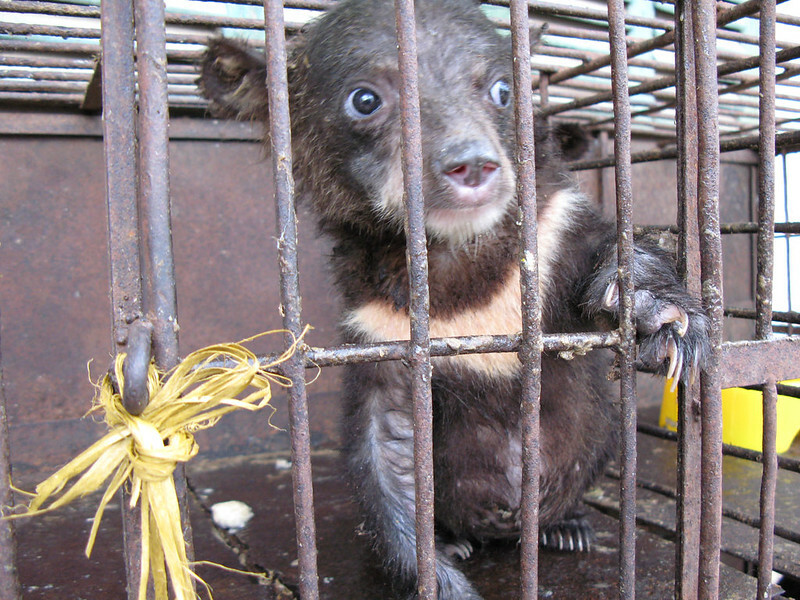 Animals Asia’s first entered Vietnam in 1999 to investigate the scale and practices of the bear bile industry. What the charity discovered was truly shocking. The investigation revealed that bile farmers were using invasive surgery to cut into the abdomen and gall bladder of captive bears to remove their bile. Following the investigation, it was confirmed that bears would typically only survive three or four such mutilations before succumbing to death. The fallout ensured the barbaric practice was abandoned and the less invasive – though still deeply troubling – method of anaesthetising the bears before extracting bile with a syringe was introduced. Bears on farms had increased tenfold in just six years, from 400 in 1999 to more than 4,300 in 2005. The industry was starting to make negative headlines and the Vietnamese government were realising action was needed. But rangers were reluctant to confiscate any illegal bears because they simply had no infrastructure to care for them. After visiting Animals Asia’s Chengdu sanctuary at the NGO’s invitation, the authorities were impressed. They knew, this is what Vietnam’s bears needed too. 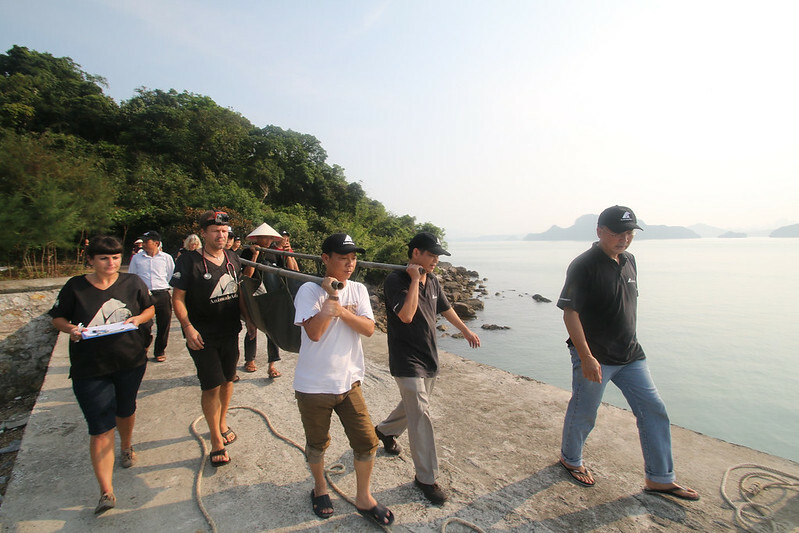 After their visit, the government offered three sites for a possible rescue centre – with Animals Asia accepting Tam Dao National Park as the ideal location. 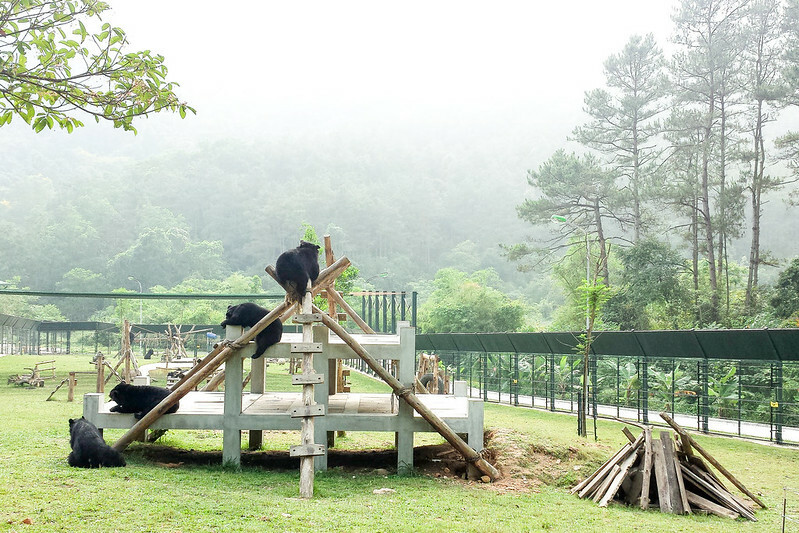 The landmark deal committed Animals Asia to building a rescue centre in Tam Dao capable of housing up to 200 bears to be rescued from the bile trade. Finally, Vietnam’s underfunded rangers would have some teeth – somewhere to send confiscated bears. Work on site started on 4 December 2006, beginning with the quarantine area. This was followed by work on bear houses 1 and 2, then the cub house. The need for sanctuary was so great that before the centre was even finished, the first bears were arriving. Since, then Mara, Mausi and Olly, have enjoyed a decade of rehabilitation and remain much-loved sanctuary residents. By the time of the official opening, the sanctuary contained a quarantine area and two bear houses each with 12 dens and was capable of housing 48 bears. Over the years the sanctuary has expanded and is now recognised as a world-class facility with room for up to 200 bears. Just as Animals Asia began building more bear houses, the national park director, Mr Tien, had a change of heart. He suddenly decided he wanted to keep half of the land in order to build a holiday resort. It was to be the beginning of a long-running battle which would threaten the survival of the sanctuary and the lives of more than 100 bears. Animals Asia was forced to take its case directly to MARD who, in April 2012, restored Animals Asia’s full access to the sanctuary site. But it wasn’t the end of the battle. Mr Tien lobbied the Ministry of Defence to declare the land promised to Animals Asia a “national defence priority area”, and MARD informed the charity the sanctuary would have to be moved. This marked the beginning of one of Animals Asia’s biggest fights. It could have ended Animals Asia’s work in Vietnam, but with supporter numbers growing the fight made international headlines. Other NGOs, celebrities, supporters and embassies rallied to offer their support. The battle reaches the highest levels of government who give their clear backing to the MOU signed in 2005, and their support for efforts to end the bear bile industry and preserve Vietnam’s remaining wild bear populations. Animals Asia’s Founder and CEO, Jill Robinson MBE met Dr Ha Cong Tuan, Deputy Minister at MARD at the ministry’s offices in Hanoi. Four years, later the negotiations opened at this meeting would result in the landmark signing of an MOU between both parties paving the way to end bear bile farming forever in Vietnam. 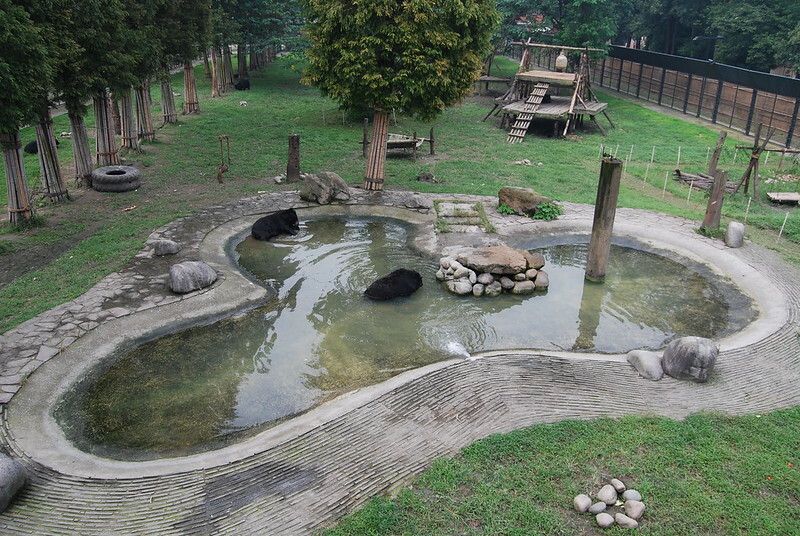 A decade after representatives from the government visited Chengdu to see what was possible – Vietnam too became home to a world-class bear sanctuary caring for over 130 bears. Long-term collaboration leads to Animals Asia and the Vietnamese Traditional Medicine Association signing an MOU. The agreement ties the TMA to completely stopping all bear bile prescriptions by 2020 – setting a possible end date for the industry. Following an Animals Asia investigation into the conditions of bile farms in Quang Ninh province – home to tourism hotspot Halong Bay – a global campaign saw unprecedented support to end the industry in the province. More than 100,000 signatures were gathered and celebrities and diplomats from around the world urged the government to do the right thing. 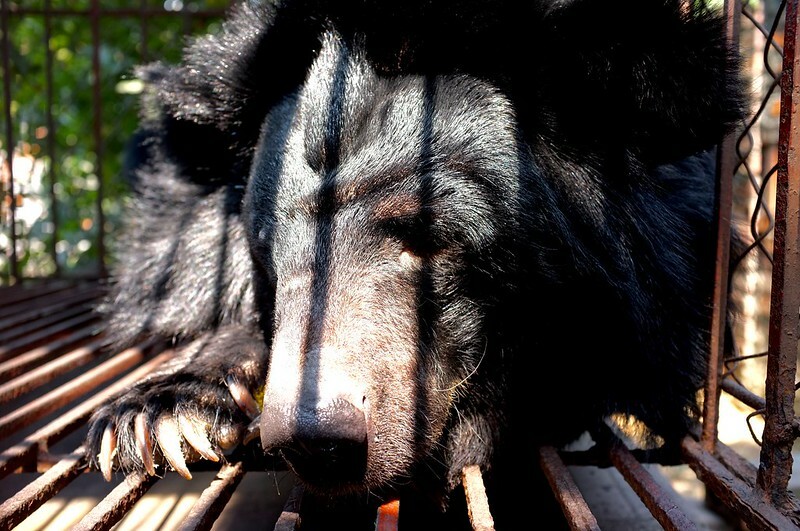 They listened, and the Prime Minister declared all 38 bears in the province must be moved to Animals Asia’s sanctuary. By the end of the year every farm had been closed down and the government had renewed its commitment to ending the industry – not the financial interests of bile farmers. With the opening of the final double bear house, Animals Asia met its commitment to the Vietnamese government as laid out in the 2005 MOU. The new building brought the theoretical maximum capacity of the rescue centre to 200 – meaning it was possible to rescue up to 40 more bears. 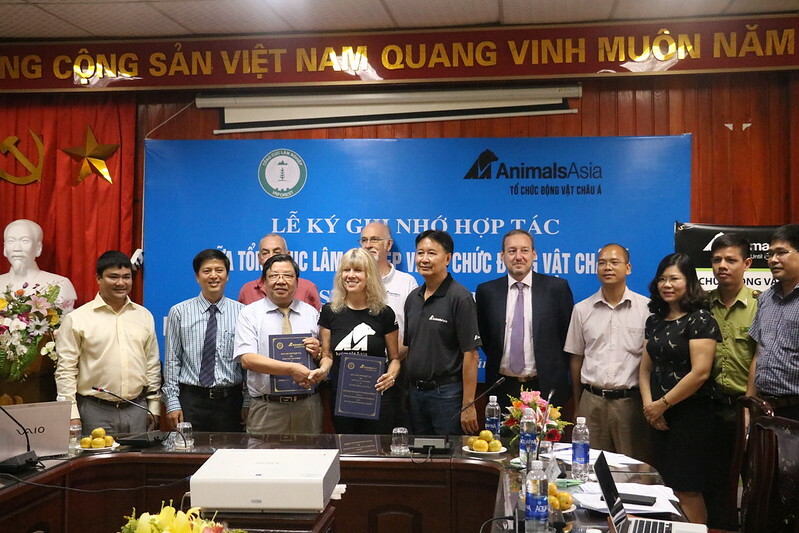 After 18 years of collaboration with the Vietnamese government – and by proving their ability to follow through on promises – Animals Asia has been put in joint charge of ending the bear bile industry. Four years of negotiations produced an MOU – signed with the Ministry of Agriculture and Rural Development – which represents a roadmap toward the end of the industry. It ensures both government and charity are agreed on the steps that must be taken and are willing to take them together to realise the common goal of a bear bile free Vietnam.